The MURS Alert Probe Sensor is a long-range wireless driveway alarm that will detect vehicles only. It combines the features of the vehicle sensor drive alert with our MURS Alert technology. The MURS Probe is very reliable and will not give false signals from large animals or other sources. When the MURS Alert detects a vehicle, it will send an alert signal to either the M538-BS or M538-HTtransceivers. The alert signal will be in spoken English and twice repeats the phrase “Alert Zone One,” “Alert Zone Two,” “Alert Zone Three,” or “Alert Zone Four.” The four alert messages are easily selected at the transmitter, so that up to four different zones can be monitored simultaneously. 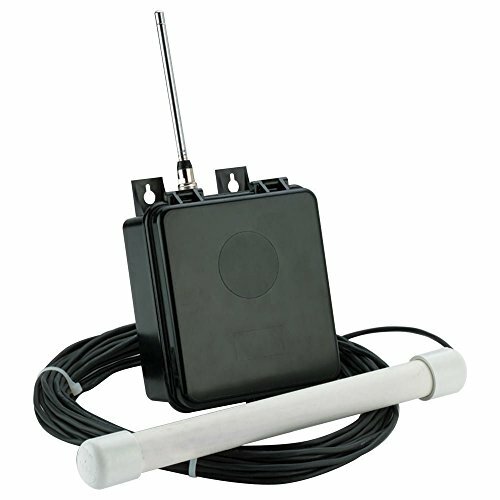 The MURS Alert Probe Sensor has five channels and 38 sub-channels to choose from. This will help to eliminate interference from other users. The MURS Probe operates on four cr123a batteries (included). The battery life should be about six months under most conditions. The channels, sub-channels, and alert zones are all easily selected by the user. The probe is connected to the transmitter box with 50' of direct burial cable. The MURS transmitter will have a range of up to several miles* to the hand-held or base station transceivers. This extended range will help monitor areas that have been very difficult to monitor in the past. It will be of great value to businesses monitoring customer traffic, security guards trying to monitor remote warehouses, and farmers monitoring vacant farm sites. *Actual range will vary depending on the local terrain. If you have any questions about this product by Dakota Alert, contact us by completing and submitting the form below. If you are looking for a specif part number, please include it with your message.